School Library Journal - 01/01/2016 Gr 4–6—Grubb and his fantastical companions return for more magical high jinks in the second volume of the series. Grubb has come a long way from a runaway orphan to the heir of a flying ship but is still adjusting to life with his father and his new friends. 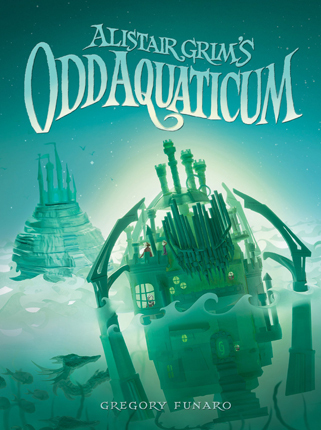 This sequel continues the quest to destroy the evil Prince Nightshade with an underwater trip to Avalon in search of Excalibur. Though the page count is high, the rapidly firing adventures with a focus on plot should keep even struggling readers enthralled. Balancing the text are frequent spot and plate illustrations, complemented by generously large text and margins. The sketchy simplicity of the pictures still seems to undersell the potential of such a fanciful world but may help keep the book accessible and nonthreatening for middle grade readers. Perhaps due to the limits of an action-packed plot and the metaphoric fight between good and evil, depth of characterization is not a strong point, and Funaro focuses instead on a cast of characters with a diverse array of abilities, if predominantly white and male. The hodgepodge of motifs—from Arthurian legend to Greek fable—is somewhat bewildering, especially as the appropriations are not tied together. Several entangled morals underlie the story, but their simplicity can be written off as a side effect of the allegorical form of fantasy. Despite revealing the tantalizing answers to several mysteries, Funaro leaves enough to sustain further volumes, complete with an arcane prophecy to be fulfilled. 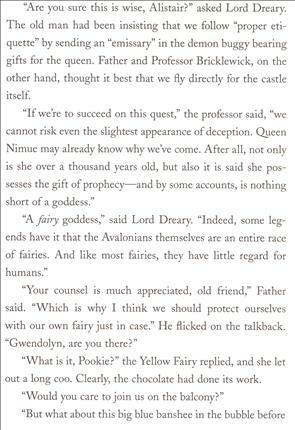 VERDICT A fun, fantastical adventure with enough invention for juvenile readers to thoroughly enjoy, even with chaotic commandeering of a variety of storytelling motifs.—Erin Reilly-Sanders, University of Wisconsin-Madison, WI - Copyright 2016 Publishers Weekly, Library Journal and/or School Library Journal used with permission.